They are bringing back the buzz! The NBA has approved for the Charlotte Bobcats to change their name to the Charlotte Hornets following this upcoming season. With that move, we get to say farewell to one of the worst team branding eras in the history of sports. 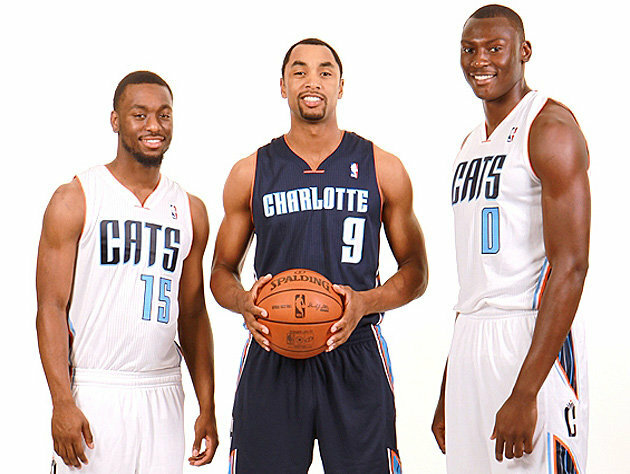 I personally am delighted to see the disappearance of the Bobcats and their brand from the NBA. 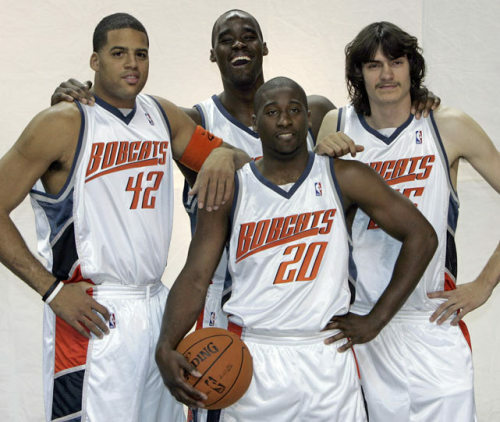 When the Bobcats made their debut as an expansion team in 2004, I actually liked their color scheme. Orange uniforms weren’t popular in the NBA and with the addition of their shade of blue with silver and blood orange, I thought it was pretty nice. Obviously the name itself didn’t really strike fear into the opponents’ eyes, but for a new team, it was a chance for them to make their own mark in the NBA. Blood orange, I thought, was unique and different. 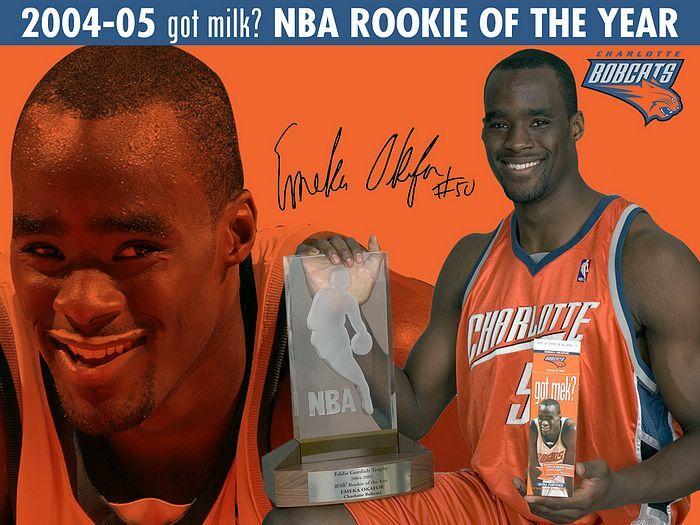 The first player to be drafted by the Charlotte Bobcats: Emeka Okafor. Then the 2008 season came and the team decided to brighten their orange. Instead of keeping their unique color, they decided to make it bland. But of course by that time, they were already three seasons in on phasing out the glossy blood orange and popularizing the blue alternate as their permanent road color. The 2008-2009 season was the first and last year of this new shade of orange. Blue had already intercepted the team’s preferred road color for their uniform. During the 2008 rookie class introduction, the team held their alternate blue jerseys. The effort to phase out the orange uniforms was already in full effect. Shortly thereafter, the team decided to rebrand. That’s three uniform changes and the team was barely five years old. That’s not great. Adding to the fact that the team has not been good on the court, most teams usually find a rebrand as a way to freshen things up. That was the approach the Bobcats took. Not only did they change their orange in their uniform and logo, but now their rebrand consisted more of the blue. They introduced a new wordmark and alternate logos to coincide with the change. The Bobcats used this for three seasons. It wasn’t a terrible design, but I still wished their blood orange stayed as their primary color. The shade of blue was welcoming and it was unique. 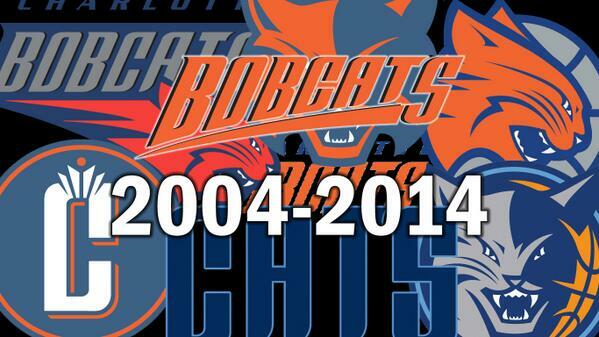 The rebrand established the Bobcats’ new identity but it wasn’t to last. This design was only used for three seasons. Part of the reason for change came due to Adidas’ use of the Revolution30 template, which made it difficult to produce pinstripes on uniforms. With that in mind, the Bobcats once against debuted an entirely new uniform set with changes to their logo. In 10 seasons in the NBA, the team has made four major uniform/brand changes. These uniforms will be worn for their second and final season this year. The new uniform set is the worst out of all of them. There have been comparisons to how similar the road set looks like the Mavericks’ old road uniform. Add into the fact that the team incorporated a light Carolina blue and shortened their name really doesn’t give this design an appeal. It’s not unique or recognizable. With an opportunity to stand out, the Cats stayed boring and appropriately, irrelevant. Now after this season, which would be the second wearing these monstrosities, the team will now have to rebrand once again to accompany their new name. What started out as a promising identity and color scheme turned into drab and boring. The 2014-15 season will be the 11th season for this franchise. In that time period, the team will have gone through five separate identity changes. The constant change, adding along with the constant losing, has been bad for the team’s identity. The Hornets name will bring back some excitement and I hope that the new uniforms reflect the original Hornets look well. 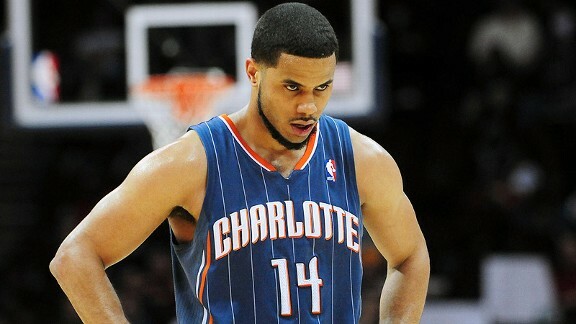 But after 10 seasons of constant change, this new Hornets look better stay for a while. The team needs to establish their identity and keep it. It’s what’s right. Anything to eliminate the Bobcats’ current look. For more on the Bobcats’ branding identity, check this out. This entry was posted in Charlotte Bobcats, Charlotte Hornets, Logos, NBA, New Sets, Old Sets, Uniforms & Design and tagged Adidas, Rebrand. Bookmark the permalink. If only I could show you what the logo SHOULD look like with the purple and Carolina blue look. THAT is a way to “bring back the BUZZ!” Michael Jordan gets it in Charlotte!